The Model B+ is the fastest and most powerful Raspberry Pi yet. Raspberry has just announced an update to its flagship board, the Raspberry Pi 3. 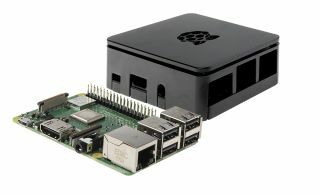 The new Raspberry Pi 3 B+ comes with improvements in speed across the board, as the company promises to deliver “more processing and faster communications”. First of all, the new device has a speedier processor, sporting a 1.4GHz quad-core Broadcom BCM2837B0 processor, compared to the Pi 3’s 1.2GHz. Connectivity has also been improved, as the B+ comes with a dual-band 2.4Ghz and 5GHz wireless connectivity, as well as gigabit ethernet over USB 2.0, supporting up to 300Mbps, along with Bluetooth 4.2 and Bluetooth Low Energy Support. Last, but definitely not least, is the addition of Power over Ethernet, which is basically a new addition to the device. Despite all the changes, the device’s dimensions are staying the same, and so is the price. All of you who are interested in getting your hands on one of these devices can do so on this link.